Barcelona fragrance inspired by the famous football club from Barcelona. Barcelona Eau De Toilette 100ml. is an extraordinary men's fragrance inspired by the famous football club from Barcelona. The EP Line FC Barcelona perfume comes in a unique coloured bottle with the logo of FC Barcelona. The very beginning of the EP Line FC Barcelona fragrance includes fresh accords of lemon and contrasting pepper. Its heart consists of magic orange blossoms, cardamom and heady lavender. Its base is pervaded by essences of cedar wood, exotic patchouli and warm sandalwood. The unique combination of ingredients creates an enchanting aroma. This unmistakable men's perfume by EP Line can be worn all day. Remind yourself of the atmosphere of a football match and be a proud fan of FC Barcelona with the EP Line FC Barcelona fragrance for men! Very enthused fans and football fans around the globe Aroma perfume is so soft and refreshing rewarding and special experience for users. The actual beginning scent EP Line FC Barcelona is composed of lush chords and contradictory lemon pepper. At the heart are magical orange flower, cardamom and lavender narcotic. The basis permeate the essence of cedar, exotic patchouli and warm sandalwood. The unique combination of ingredients creates an enchanting aroma. This distinctive men's fragrance brand EP Line can wear them all day. 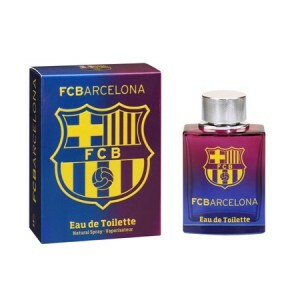 Recall the atmosphere of a football match and be proud fan of FC Barcelona with a masculine fragrance EP Line FC Barcelona!